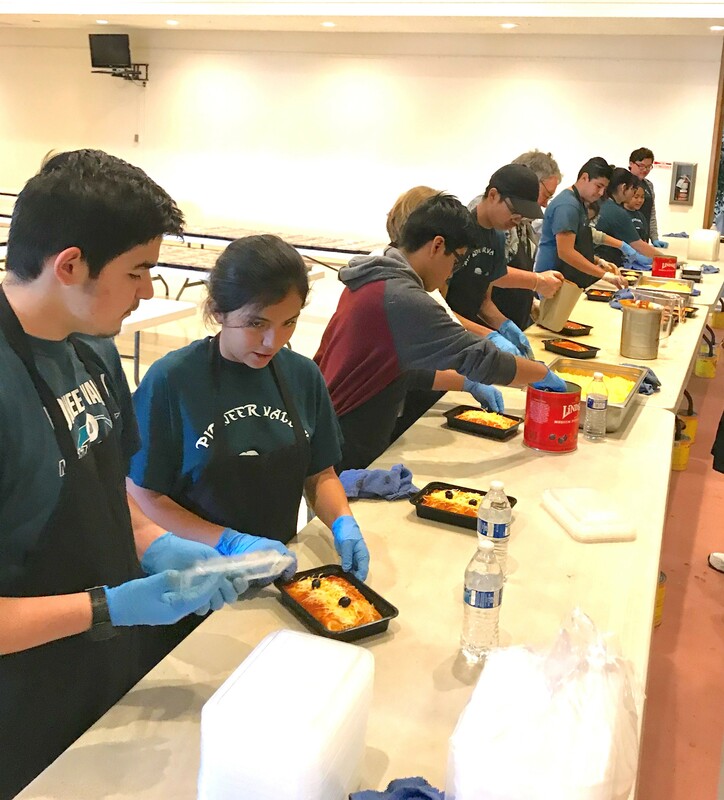 On a Saturday, January 25th, the Elks Lodge was a hub of activity that involved tortillas, enchilada sauce and cheese as volunteers gathered for the annual fundraiser. With 2,000 trays sold, the event raised $10,000 for the Lions Sight Conservation Foundation. The Lions here in Santa Maria have been doing this for 38 years. The Foundation is having fundraisers all over the world to help kids-adults providing eye screening, exams and surgery through eye doctors., free glasses and hearing exams too. 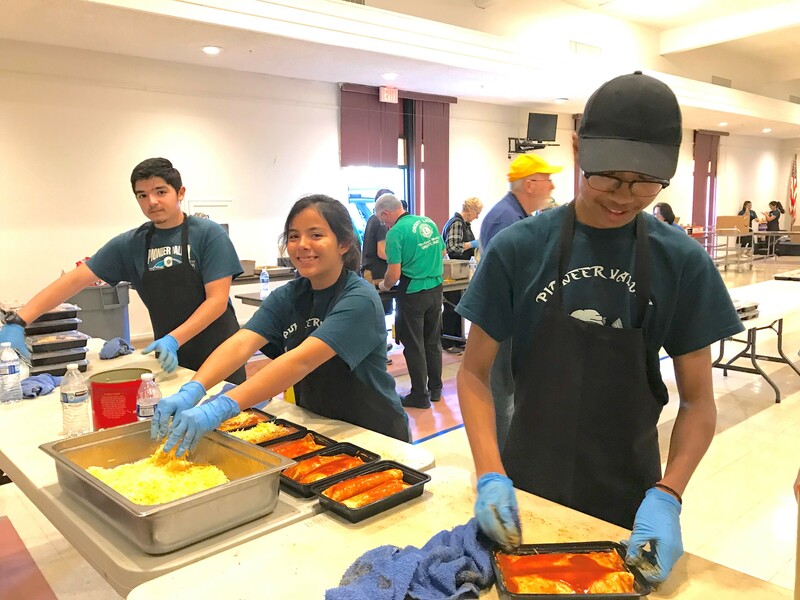 This last year, the local group screened about 13,000 people here in Santa Maria and Orcutt elementary, junior high and high schools, performed health checks at churches and the Souza Center, as well as hosting special health events at Waller. Sporting their PVHS band shirts, Panther band members were on deck to lend a hand to the project. They have participated in this event for numerous years and are loved and appreciated by Lions Club members.